Two short-term research assistants are sought by the School of Design at De Montfort University (Leicester, UK) to work with Rosemarie Fitton for 10 hours per week for 20 weeks on a project looking at prison environments. Over the past two years Rosemarie’s team have developed a reputation for the delivery of innovative student design solutions for prison Visits Centres, providing design solutions that facilitate positive relationships in a more friendly and humane environment, delivering positive outcomes for both visitors and prisoners. The advertised posts would be working on a new project that intends to capture not only the research that has already been undertaken in this area, but also to build on the experience and acumen developed through active design practice. This, coupled with research conducted with prisoners and visitors about their experiences of visits centres, will provide an evaluation of the success of interventions already implemented, enrich the research data and feed into future design projects. Duties will include preparation of a literature review, data generation (via interviews) and data analysis. Further details of the posts are available on the UniTemps website at https://www.unitemps.com/Search/JobDetails/21836. The intended start date is applications is 25 March 2019, and applications are invited as soon as possible. Title: What does carceral geography bring to carceral studies? The term ‘carceral geography’ (Moran et al 2011) describes a vibrant field of geographical and space-centred research into practices and institutions of incarceration, ranging from prisons to migrant detention facilities and beyond. Although rapid, its development is far outpaced by the expansion, diversification and proliferation of those strategies of spatial control and coercion towards which it is attuned. The dictionary definition of carceral is ‘relating to, or of prison’, but as Routley notes ‘carceral geography is not just a fancier name for the geography of prisons’ (2016: 1). Carceral geography is in close dialogue with longerstanding academic engagements with the carceral, most notably criminology and prison sociology. Dialogue initially comprised learning and borrowing from criminology, but within a more general criminological engagement with spaces and landscapes (Campbell, 2013; Hayward, 2012, 2016; Kindynis, 2014) recent years have seen criminologists increasingly considering and adopting perspectives from carceral geography. We call for continued interrogation of carceral conditions (Moran et al 2017). • understand the new challenges the prison is confronted with? • define the carceral within or outside walls? • better understand the functioning of carceral institutions? • raise new questions for the century-old prison? Please send abstracts of max 200 words, giving names, institutional affiliation and contact details for authors/presenters, to Anna (aks79@cam.ac.uk) and Christophe (christophe.mincke@just.fgov.be) by no later than 5th of April 2019. 2019 brings our first ever call for carceral geography papers for a dedicated session at the German Geography conference/Deutscher Kongress für Geographie 2019, to be held at Christian-Albrechts-Universität in Kiel, Germany, 25-30 September 2019. Zum weitherum konstatierten ‚punitive turn’ (Garland 2001) in der derzeitigen Praxis geschlossener Institutionen wie Gefängnissen, gesellt sich vermehrt auch ein Bestreben nach maximaler Sicherheit. Im Deutschen und Schweizer Jutizvollzug zeigt sich das exemplarisch an der Bedeutung der Verwahrung. Carceralgeographies, also die Geographie von Gefängnissen und anderen geschlossenen Räumen, wie Lagern oder Auffangstationen, befasst sich derzeit intensiv mit diesen Fragen. Dabei werden, wie bspw. auch in den security geographies und border studies Fragender Überwachung, Ein- und Ausgrenzung und Internierung kritisch diskutiert. Für diese Fachsitzung sind wir interessiert an Beiträgen, die sich nuanciert mit der Beschaffenheit von geschlossenen Räumen und mit den Akteur*innen in ihnen beschäftigen und die darüber hinaus auch Fragen der Lokalisierung und Verteilung solcher Räume, der Beziehung zwischen einzelnen Institutionen und einem vermehrt „strafenden“ Staat analysieren. Beiträge können sowohl empirisch wie auch theoretisch ausgelegt sein. Als theoretische Leitlinien können, müssen aber nicht, die Arbeiten von Erving Goffman (1961), Michel Foucault (1975) oder auch Giorgio Agamben (1998) dienen. Als heuristische Instrumente können Kategorien wie Zeit, Mobilität oder Taktiken und Strategien des Lebens in geschlossenen Räumen dienen. Dabei müssen geschlossene Räume immer auch in Relation zur Gesellschaft und ihren Veränderungen gesehen werden. Denn die Gesellschaft bestimmt die Funktion solcher Räume: System der Korrektur und Wiedereingliederung oder Sammelraum für dysfunktionale Elemente der Gesellschaft (Durkheim). Apply now to hit the 11 Nov deadline for applications for to work with Sophie Fuggle on the AHRC-funded project ‘Postcards from the bagne: Tourism in the shadow of France’s overseas penal colonies’. Specific duties will involve, for example, carrying out archival and fieldwork at relevant sites in France and internationally, organising dissemination events including an international conference, preparing journal articles and other outputs, organising pathways to impact activities. The position is 1.0FTE for 8 months starting in January 2019 (or as soon as possible thereafter) but there is the possibility to discuss carrying out the role on a part-time basis over a longer period. 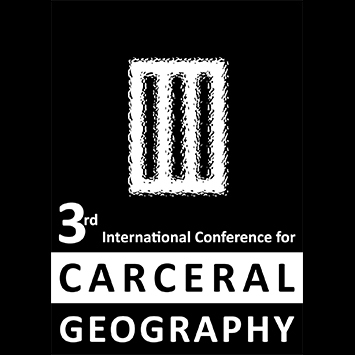 The programme for the 3rd International Conference for Carceral Geography, to be held at the University Liverpool, 17-18 December 2018, has been finalised, and is available here. Registration for the conference is open via this online shop. Registration is free, and there are payable items of day catering and a conference dinner which can be optionally added. The last date for conference registration is 7th December 2018. We are delighted that Professor Dominique Moran (University of Birmingham) and Professor Chris Philo (University of Glasgow) will be joining us as keynote speakers at the conference. The conference will feature 8 paper sessions, with 29 papers from 39 authors from across the globe. Delegates are invited to a drinks reception and exhibition event including the photographic work of Dr Annie Pfingst (Goldsmiths, University of London), The Comparative Penology Group (University of Cambridge) and a musical performance from Lucy Cathcart Frödén (University of Glasgow and Vox Liminis). Dedicated theme sessions include: Carceral legitimacy; Mobilities and Change; Health, Body and Mind; Carceral Landscapes; amongst others. To join us in Liverpool for the conference, register now!